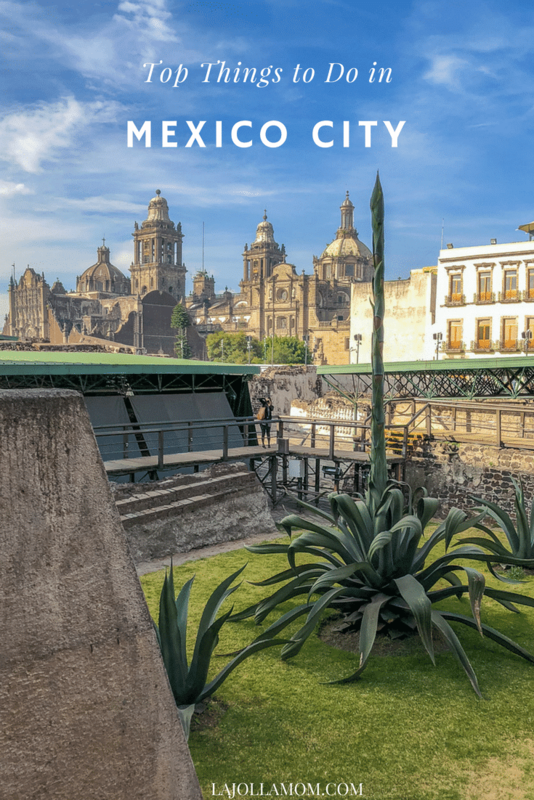 Modern Mexico City, one the largest cities in the world by population, is located on the site of the former Aztec capital city, Tenochtitlan. When the Spanish arrived in 1519, Tenochtitlan was an island city in the middle of a large lake. 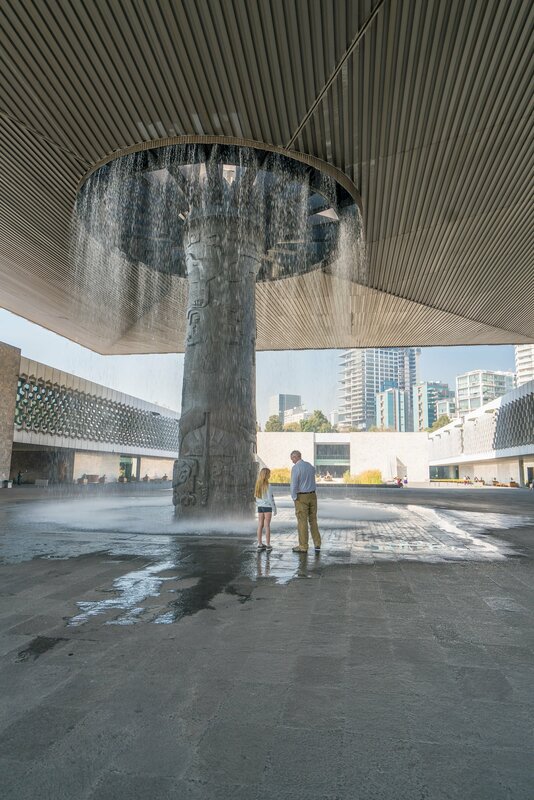 Many of the top things to do in Mexico City have some link to the Aztecs. 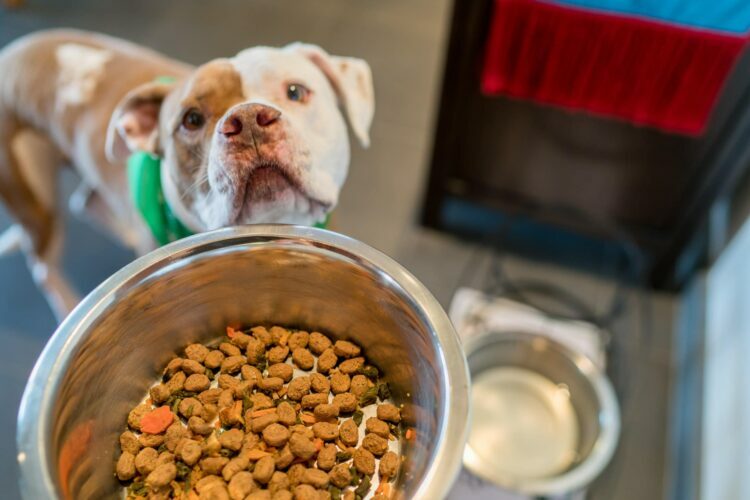 Knowing these links may enhance your visit. We’ve traveled to Mexico City multiple times as a family and love it. Fortunately, most attractions on this list appeal to all ages. 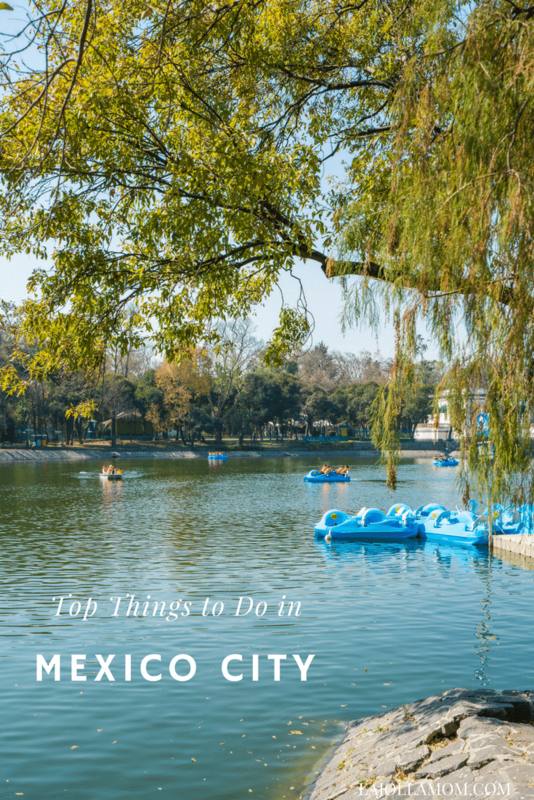 Today, this park is also one of Mexico City’s top attractions with its Zoo, lake recreation (including paddle boats), vendor stalls to shop for everything from tattoos to toys, Chapultepec Castle, and the world-famous National Anthropology Museum. Atop Chapultepec hill in Chapultepec Park is this amazing castle featuring fantastic, panoramic views of the city. Formerly a sacred site for the Aztecs, the Spanish viceroy Bernardo de Gálvez ordered its construction in 1785. 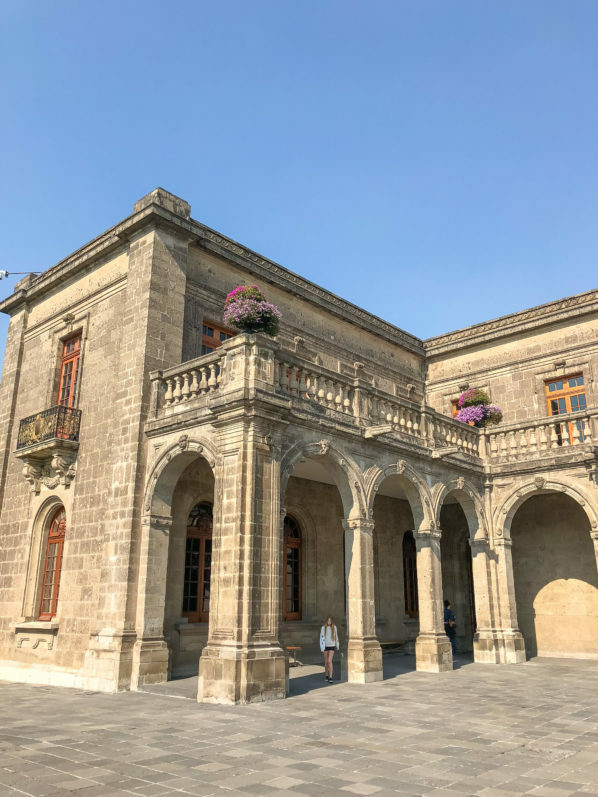 Much later, it was even more famously the official residence of Emperor Maximiliano I beginning in 1864. 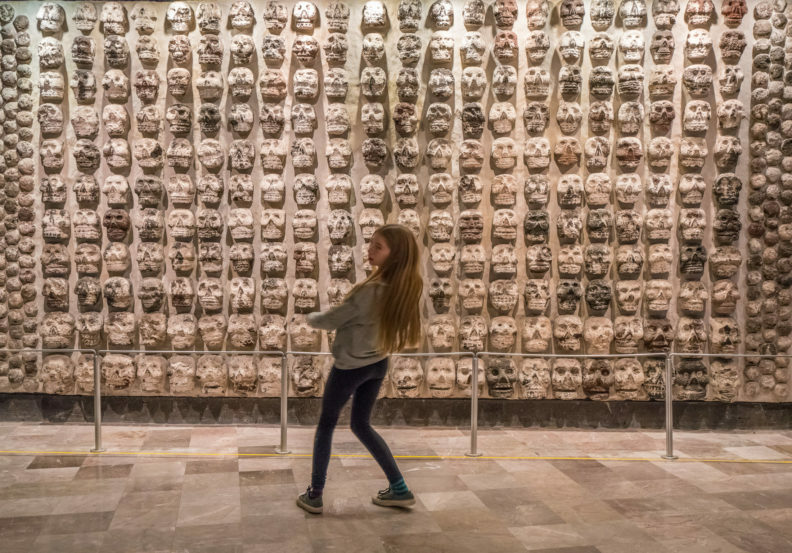 Today, it is the National History Museum with exhibits tracking the amazing, tragic, and sometimes bloody, history of Mexico over the last 500 years from the time of the Aztecs through the 20th Century. Original artifacts, furniture, paintings, and documents bring this history vividly to life. 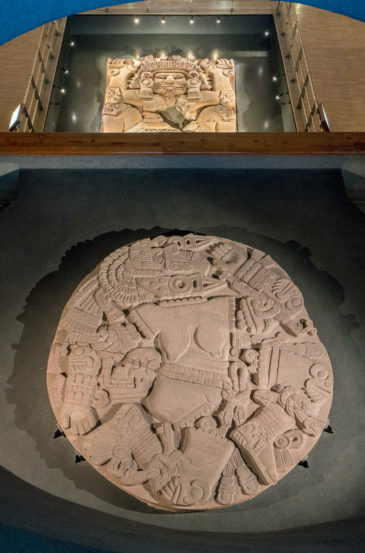 Mayan treasures recovered from the Sacred Cenote at Chichen Itza. 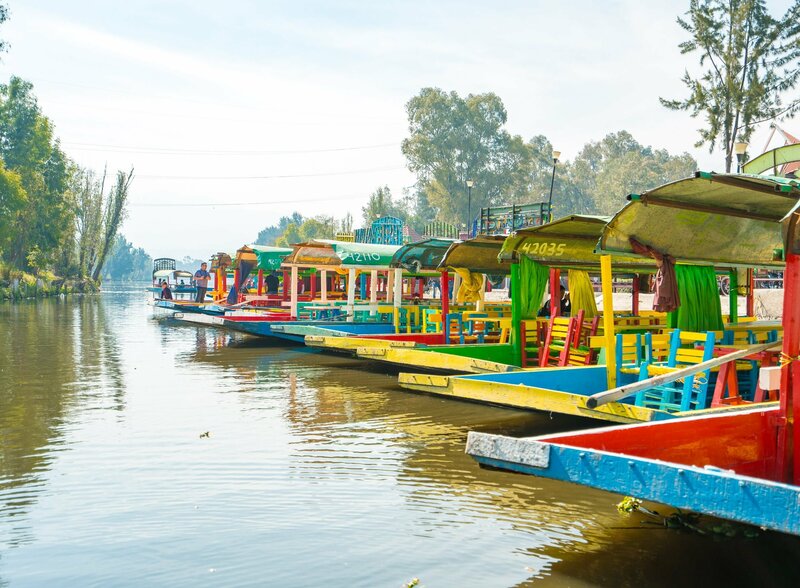 A UNESCO World Heritage site, Xochimilco is one of the last remnants of Lake Texcoco. Visitors typically hire a trajinera (flat-bottomed boat, propelled by a boatman with a pole, in a way reminiscent of Venice, Italy) for a few hour excursion here. The prices for these rentals are fixed, based on various routes marked on a map at the Embarcadero adjacent to the parking lot, where these boats load and unload passengers. There are various routes to take on a trajinera. Some pass by chinampas, another throwback to Aztec times. The Aztec capital Tenochtitlan did not have arable land, so the Aztecs created it. Chinampas are artificial islands formed by woven mats underneath the water’s surface topped with mud from the lake bottom, on which the Aztecs grew various crops. 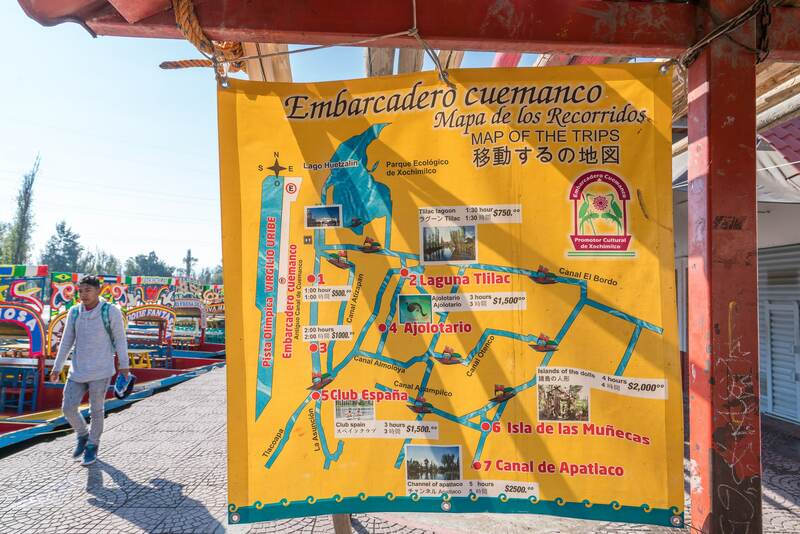 Today, you may take a route that passes almost entirely by the agrarian, wildlife refuge portion of Xochimilco. 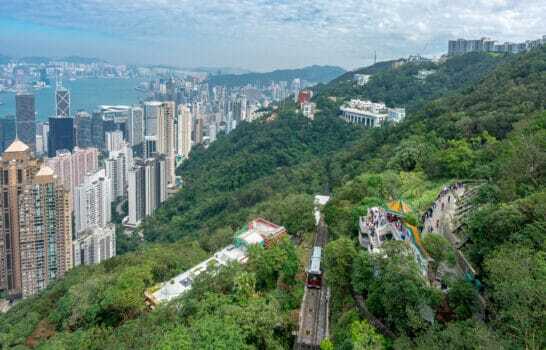 But by far the more popular way to experience the area today is to take a ride through other more touristic areas where on weekends visitors may rent mariachi bands and buy beers, sodas, and foods from stands on the islands, as well as those on other, passing boats. 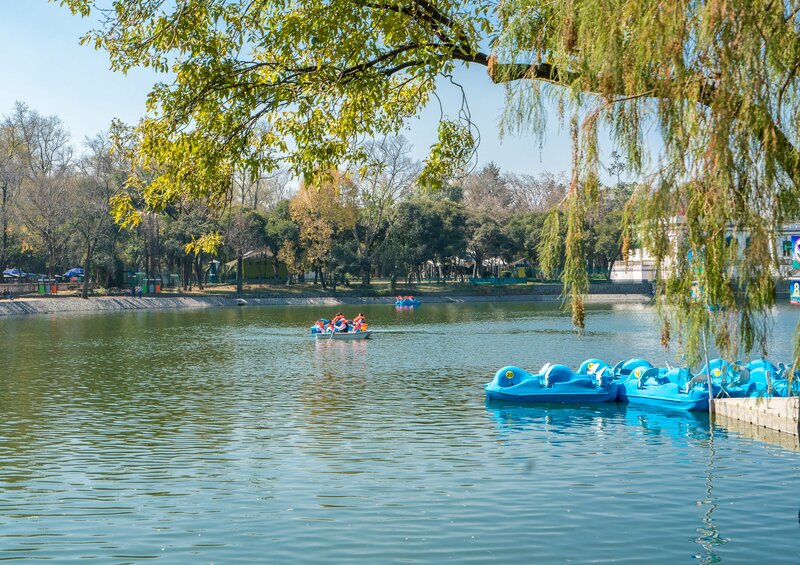 On weekends, this part of Xochimilco can be loud and festive. 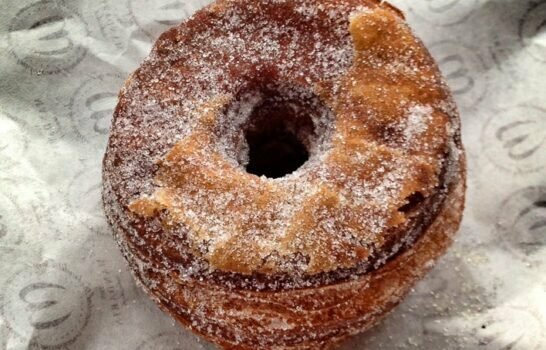 You may also buy food and drinks at the shops adjacent to the Embarcadero before you depart. One suggestion from personal experience: it will be a big help here if someone in your party speaks Spanish, both to help arrange the hiring of a trajinera (and deciding upon which route to take) and then also when buying food and drinks from vendors along the way. If you want a quieter experience there, consider visiting on a weekday, when it can be nearly empty. 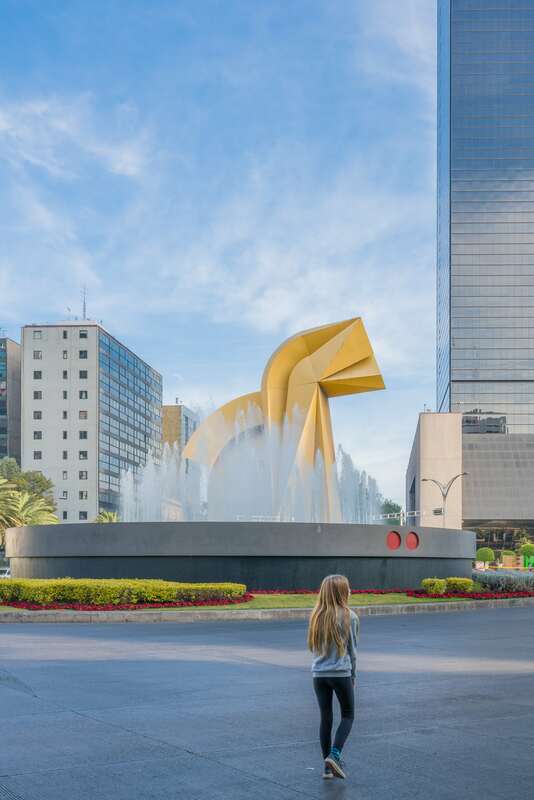 The central square of modern Mexico City, perhaps its primary tourist destination, is today called the Zócalo, or more formally, Plaza de la Constitución. It is located at the center of the Centro Histórico de la Ciudad de México. Many street signs in Mexico City reference either the Centro Histórico or the Zócalo. For a casual tourist, they are mostly synonyms. The central square itself is enormous and is ringed on all sides by picturesque multi-story buildings. It features a vast Mexican Flag, and, in winter, an artificial ice skating rink. The three primary tourist attractions here ring the outside of the square itself. Five hundred years ago, the Zócalo was the ceremonial center of the Aztec capital. 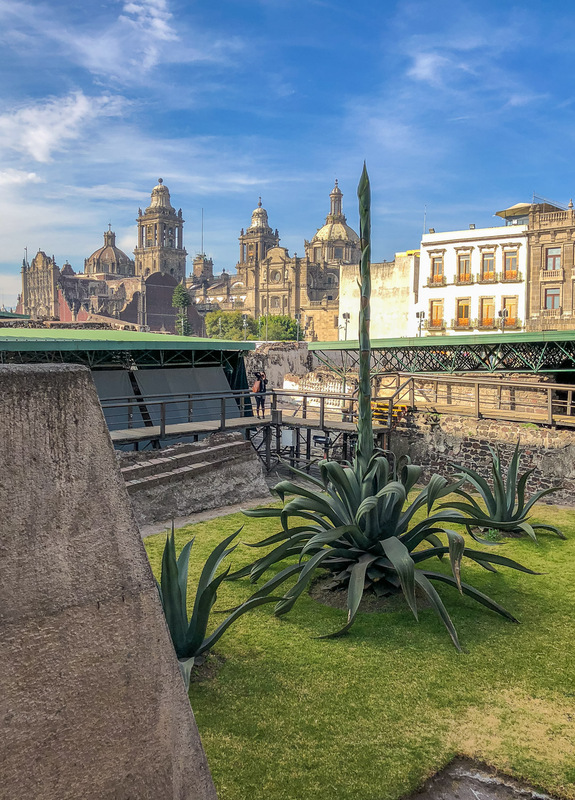 Here, on the top of their grandest temple, the Templo Mayor, Aztec priests sacrificed tens of thousands of human beings over time in ritual ceremonies as elaborate as they were bloody. 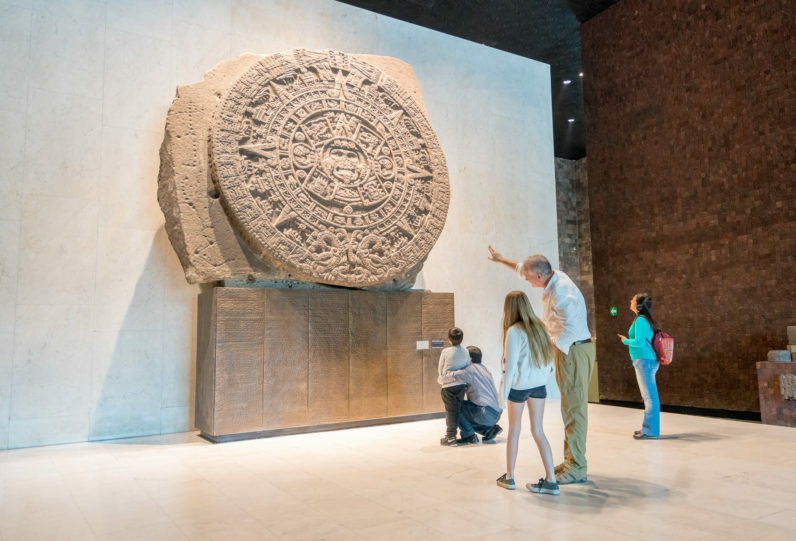 Visitors may tour the archaeological site of the Templo Mayor today, as well as the adjacent, excellent museum that features artifacts from and about it. This is also the site of the Metropolitan Cathedral, which was built in sections starting in 1573 and still stands today and can be entered by visitors. The third and last major tourist attraction in the Zócalo is the Palacio National or National Palace. Today the home of many important federal government offices, it also features several Diego Rivera murals. These murals depict stages of Mexican history. Admission is free, but be aware that you will need to show (and leave) a passport or other government-issued ID (not a copy) to enter. 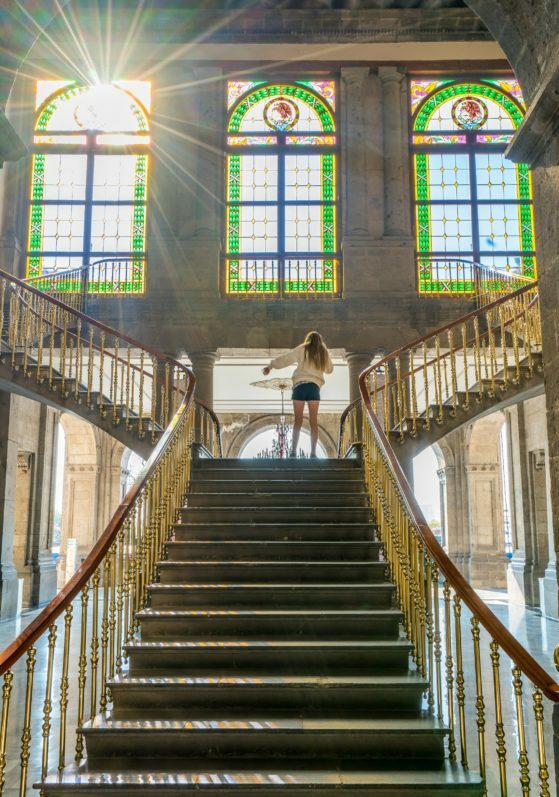 Located in the Centro Histórico, but not in the Zócalo itself, this Cathedral of Art in Mexico is housed in a beautiful art deco/art nouveau building with equally stunning, marble interiors. 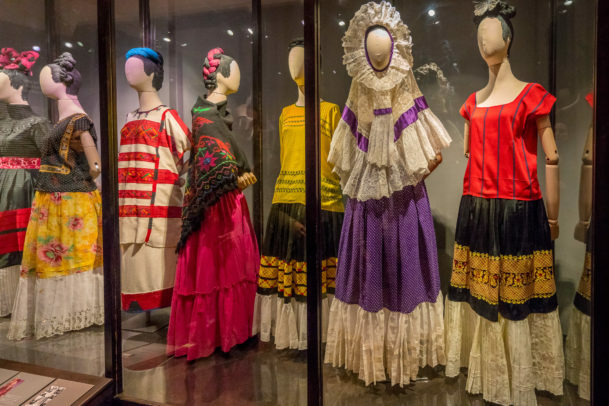 Most famous for murals by Diego Rivera and Siqueiros, it also hosts various temporary exhibitions of art and literature, as well as dance, theater, and opera performances intended to support and highlight Mexican culture and art. One of the significant, broad boulevards of Mexico City, the Paseo de la Reforma is closed to road traffic (except at some intersections) on Sunday mornings until 2:00 p.m. It’s a unique, memorable experience to be one of the throngs of pedestrians and cyclists who walk, jog, cycle, and people-watch in the middle of the picturesque boulevard designed in the European style on a Sunday morning. Several significant and photogenic monuments are also located in the middle of several intersections, including the Angel of Independence. 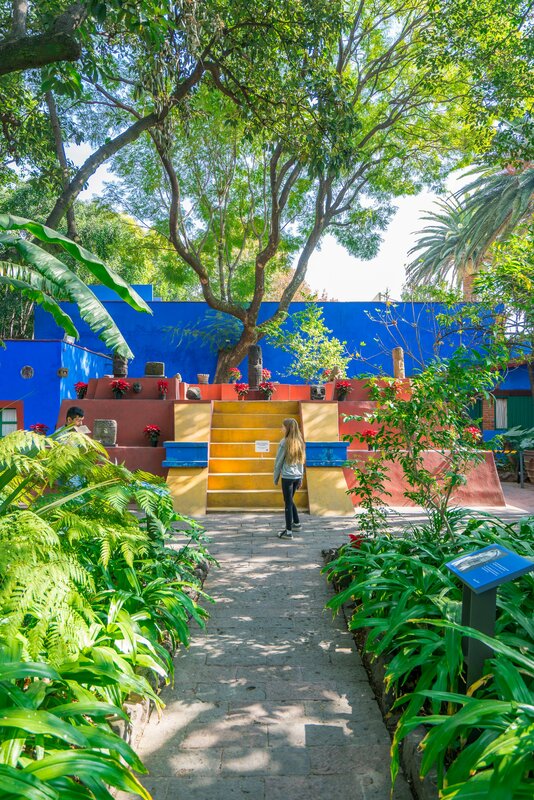 Located in Coyoacan, a leafy suburb of Mexico City, the building also known as La Casa Azul (or “The Blue House”), was once Frida Kahlo’s home. 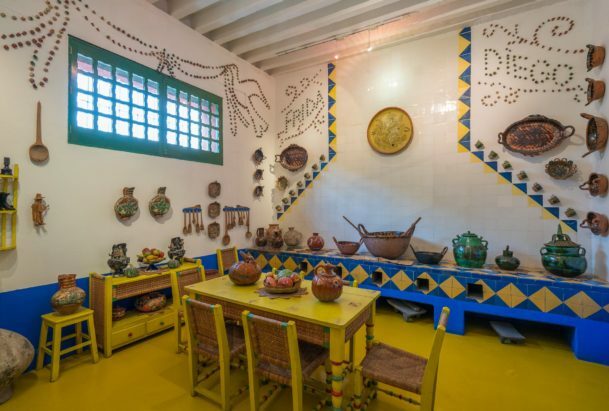 In addition to being able to walk through her home and view the rooms as they were originally furnished and decorated in her lifetime, the museum also exhibits an impressive collection of her works. 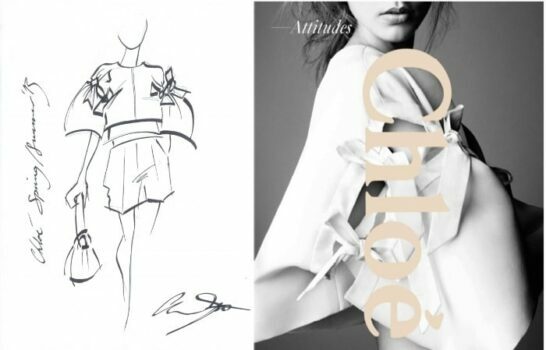 When we were there, it also had an exhibit of some of her original clothes. One bit of advice from experience: buy tickets online in advance. The museum is very popular. If you show up without tickets, you will likely end up in a very long line outside on the sidewalk, waiting for more than an hour, if you’re able to get tickets at all. 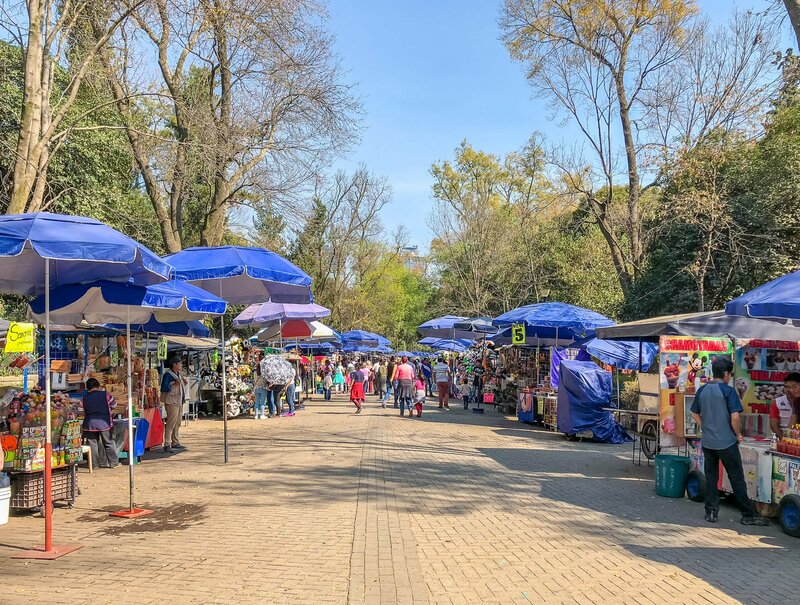 Mexico City is famous for its colorful, varied local markets, selling everything from dried chiles from elsewhere in Mexico to a wide variety of prepared foods and home goods, to pirated DVDs and more. Unfortunately for tourists, several of them are also infamously dangerous, and some are under the control of gangs. 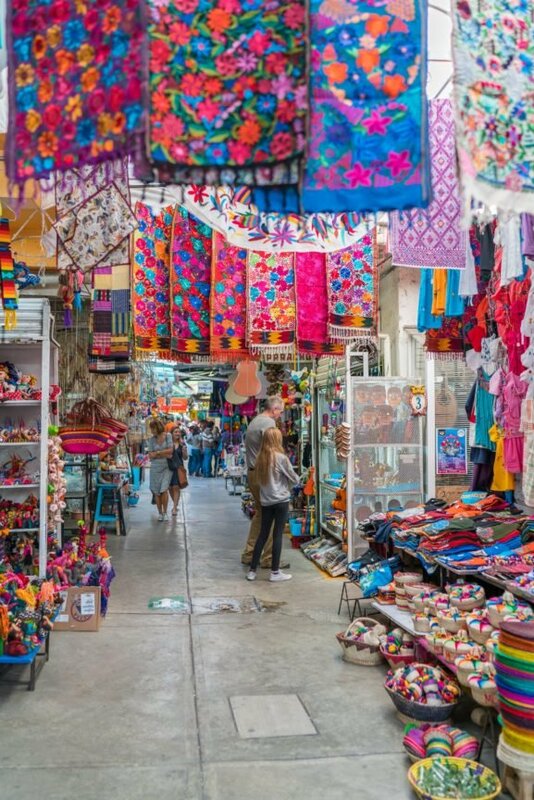 Tourists are discouraged from visiting these which sadly includes Mexico City’s largest market, La Merced. 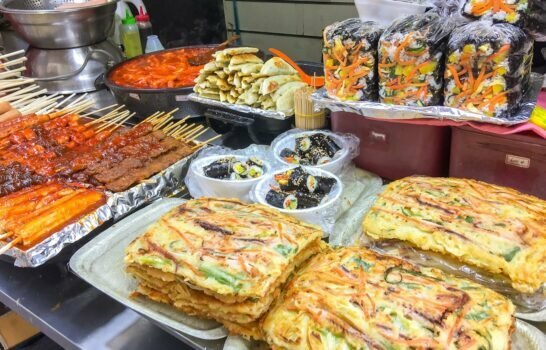 Several markets are recommended for tourists. 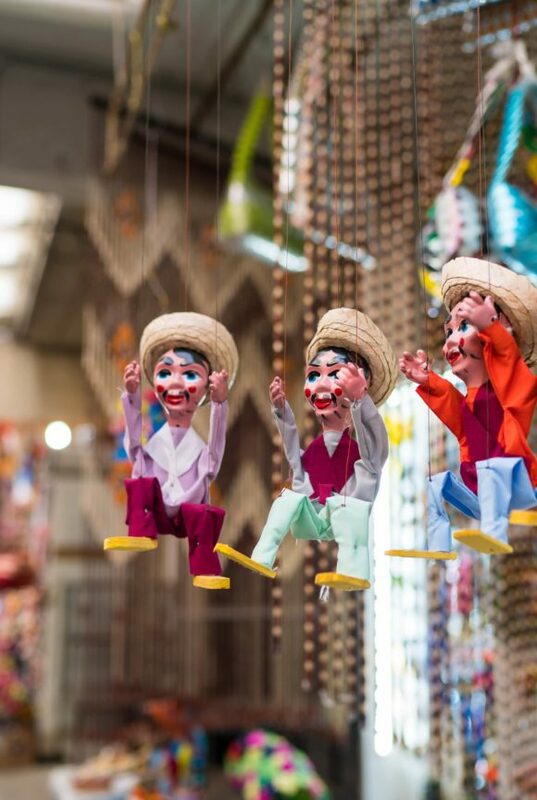 One we visited and suggested by the concierge at Four Seasons Hotel Mexico City is La Ciudadela which is home to over 350 vendors and specializes in handicrafts and folk art. Located about an hour’s drive outside of Mexico City, this fantastic “City of the Gods” is a UNESCO World Heritage Centre and features the towering Pyramid of the Sun and Pyramid of the Moon. Teotihuacan was built hundreds of years before the Aztecs arrived in Mexico and was already an enigmatic, deserted ruin in Aztec times. Knowing nothing about the original builders, it was the Aztecs who named the place Teotihuacan” (or “City of the Gods” in the Aztec language), not the original builders/residents themselves. 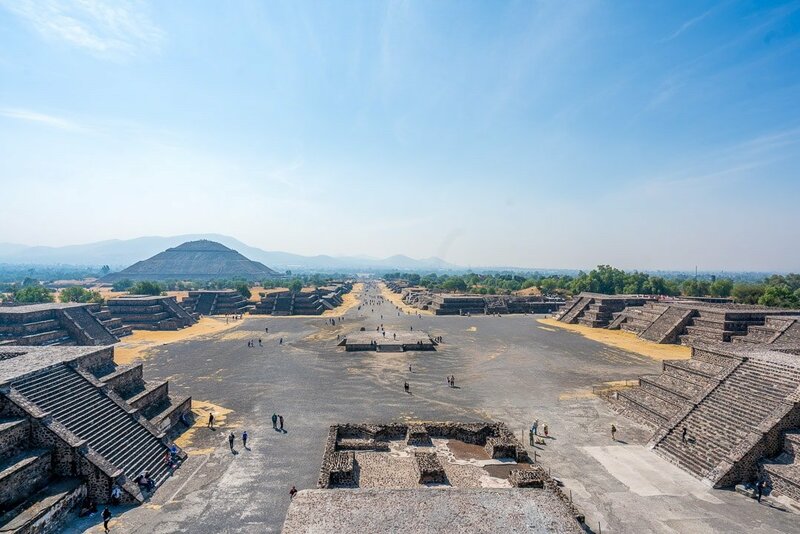 The impressive site is ringed with countless restaurants and bars catering to the busloads of tourists who arrive there every day and who walk up the many steps to the summit of the colossal Pyramid of the Sun. These days, it is only possible to climb half-way up the Pyramid of the Moon due to safety precautions. If you go, consider eating lunch at La Gruta, a longstanding local institution: a restaurant built inside a natural cave.